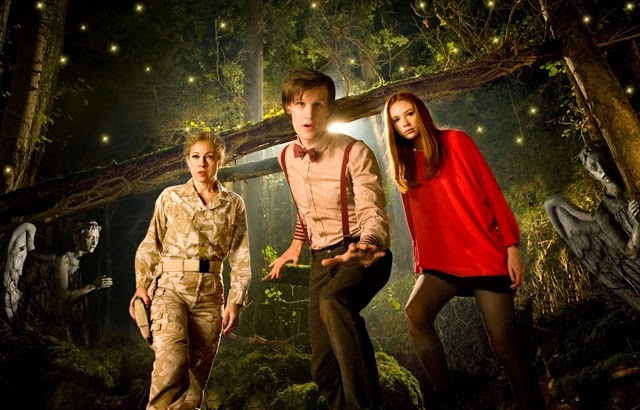 This Week In DOCTOR WHO History: May 1st to May 7th | Warped Factor - Words in the Key of Geek. Part two of The Space Museum was broadcast on this day in 1965, titled The Dimensions of Time (Not to be confused with Dimensions in Time!) it was watched by 9.2 million viewers. Two regenerations and 6 years later, part four of the Third Doctor adventure Colony in Space was watched by 8.1 million viewers. Then, on this day in 2010, 8.5 million viewers tuned in to catch the Eleventh Doctor in Flesh and Stone. 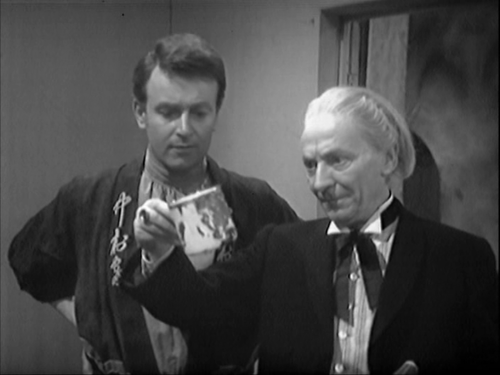 Susan's been using the Doctor's favourite mug and he's not happy about it! He gives her one last warning, but if she makes a cup of hot beefy Bovril in it one more time then he'll have no choice but to abandon her in war-torn London, circa 2164! But we're getting ahead of ourselves. First up we have part four of The Keys of Marinus (titled The Snows of Terror) from 1964 then. It was broadcast at 5.29pm and watched by a 10.4 million viewers. 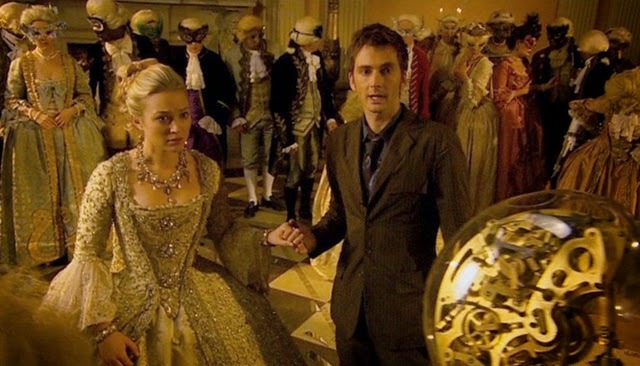 Six years later the seventh and final installment of The Ambassadors of Death was watched by 6.4 million viewers. Also on this day, back in 2003 the opening part of the online animated webcast of Shada was released at 12:00pm. Originally recorded as a Big Finish audio play featuring Paul McGann as the Doctor, the BBC added Flash animation to finally bring the unfinished Douglas Adams story to the screen, albeit computer screen. The Second Doctor's final adventure The War Games continued on this day in 1969. Episode Three broadcast at 5:15pm and watched by 5.1 million viewers. Moving on to 1975 and the Fourth Doctor and Sarah Jane visit one of the weirdest spas this side of Raxacoricofallapatorius (don't even think of booking the aromatherapy treatment there - oh boy!). Here on Spa Station Nerva the skin care treatment is nothing to write home about but the head and neck massage is to die for! "Oh, oh yes! That's got it." 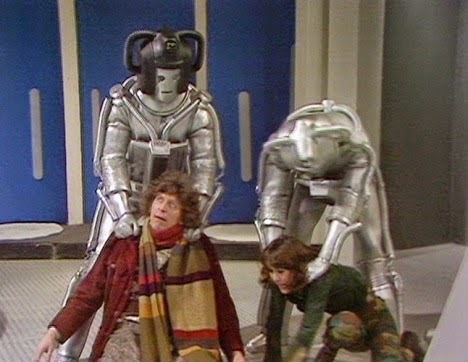 On the other hand it could just be part three of Revenge of the Cybermen, which was watched by audience of 8.9 million viewers. Then it's new-Who time, with 2008's The Poison Sky (nothing to do with that Raxacoricofallapatorius aromatherapy! ), broadcast at 6:19pm and watched by 6.53 million viewers, and completing the Tenth Doctor two-part Sontaran adventure. On this day in 1968 6.9 million people were watching the Second Doctor in episode two of The Wheel In Space, an installment which along with parts 1,4 & 5 are now sadly missing from the archives. 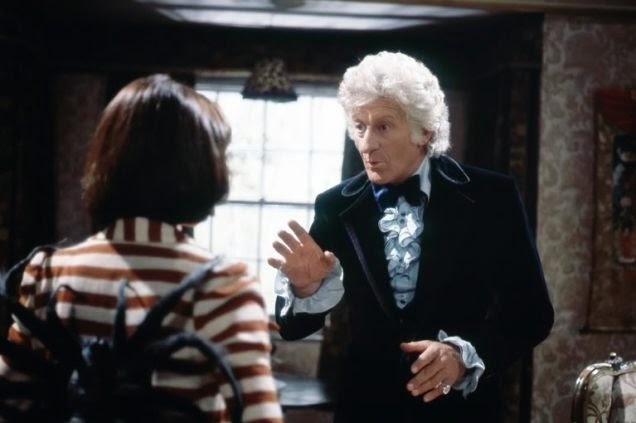 Skip forward one regeneration and 6 years and we have the Third Doctor instructing Sarah Jane to stand very still whilst he rolls up yesterday's copy of The Mirror. Yes, it's the beginning of Jon Pertwee's swansong Planet of the Spiders. Part one was broadcast on this day in 1974 and watched by a huge 10.1 million viewers. Thirty Nine years later and the Eleventh Doctor story The Crimson Horror drew an audience of 6.47 million. On this day in 1966 6.6 million people were watching the second episode of The Gunfighters (titled Don't Shoot the Pianist). 49 years later the Ninth Doctor faced The Long Game, the 2005 story drawing an audience of 8.01 million. 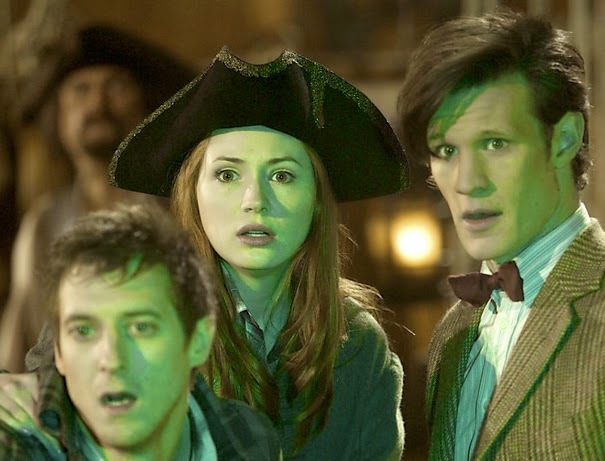 Finally for this week in Doctor Who history it's time to set sail for the Eleventh Doctor adventure The Curse of the Black Spot, which was broadcast in 2011 at 6:15pm, and watched by 7.84 million land-lovers. Argh!